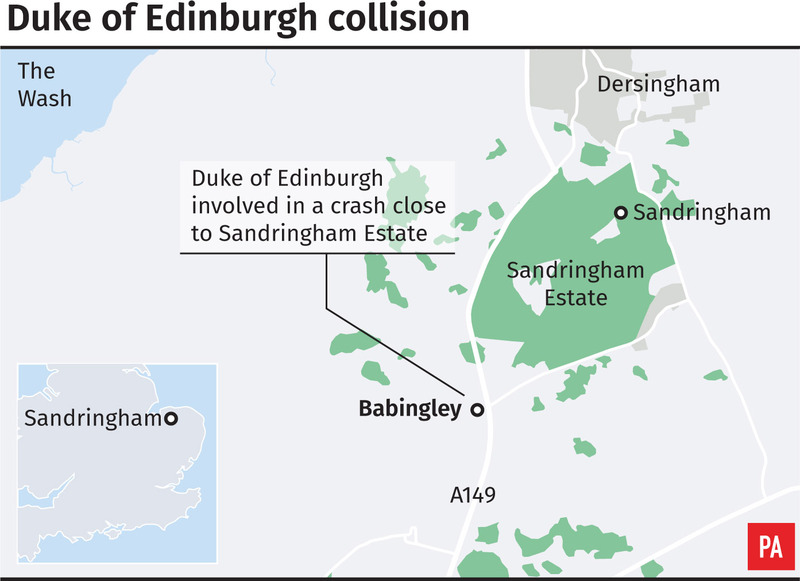 Norfolk Police said officers were called to the Sandringham Estate shortly before 3pm “following reports of a collision involving two cars”. The spokeswoman would not comment on who Philip’s passenger was but it is likely the duke was travelling with his close protection officer. Philip showed the former US President Barack Obama and his wife Michelle the personal touch when he drove them and the Queen to Windsor Castle after the Marine One presidential helicopter landed close to the monarch’s Berkshire home during their visit to the UK in April 2016. In 2017, he joked how the rough and tumble of carriage driving left his “Balmoral dog cart” smashed up regularly.